The Männergesangverein Germania was formed in1864 and as such is the basis of the founding of the Germania Club. The choir was formed in order to maintain the German language and heritage In 1935 women's voices were joined to the choir and formed a mixed voice choir. The choirs usually perform as a mixed, but also perform as a male chorus and ladies chorus. The choir has a busy yearly schedule which has concerts in the Germania Club and an annual Christmas Concert in First-Pilgrim United Church. The choir also visits other German clubs and choirs, and sings in other venues like seniors homes. 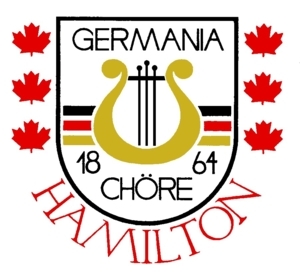 The choir is always looking for additional members and Choir practice is every Thursday starting at 7:30pm held at the Germania Club.